FRIDAY, Feb. 23, 2018 (HealthDay News) -- Women don't need to have blocked arteries to experience a heart attack, a new study points out. Blocked arteries are a main cause of heart attack in men, according to researchers from Cedars-Sinai Medical Center in Los Angeles. They found, though, that about 8 percent of women who have chest pain but no blocked arteries actually have scars on their heart that indicate they had a heart attack. Women who complain of chest pain often are told they haven't had a heart attack if their arteries aren't blocked, the researchers said. Their study included 340 women who reported chest pain but did not have blocked heart arteries. An imaging procedure -- called cardiac magnetic resonance -- revealed that 26 of the women (8 percent) had scars on their heart that indicated prior damage to the heart muscle. Of those 26 women, about a third were never diagnosed with a heart attack, even though their cardiac scans revealed heart muscle damage. A year later, 179 of the women had another heart scan. At that point, two women were found to have new heart scarring. In that year, both of the women had been hospitalized for chest pain but were not diagnosed with a heart attack, the study reported. The study was published Feb. 22 in the journal Circulation. "This study proves that women need to be taken seriously when they complain of chest pain, even if they don't have the typical symptoms we see in men," first author Dr. Janet Wei said in a Cedars-Sinai news release. "Too often, these women are told they don't have a heart problem and they are sent home, instead of receiving appropriate medical care," she said. 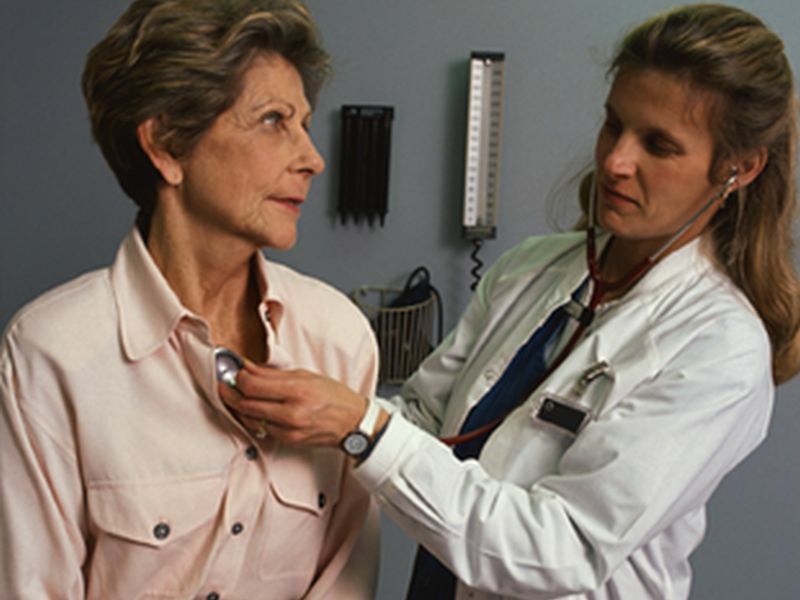 "Many women go to the hospital with chest pain, but they often aren't tested for a heart attack because doctors felt they were low-risk," study co-author Dr. Noel Bairey Merz said in the news release. "They are considered low-risk because their heart disease symptoms are different than the symptoms men experience," she said. Merz is director of the Barbra Streisand Women's Heart Center in the Smidt Heart Institute at Cedars-Sinai.